iPhone 7 or iPhone 7 Plus is one of the hottest smartphones on the world, it is released not long ago, now there are more and more users have bought this new iPhone to replace their old smartphones. Have you also got the iPhone 7/7 Plus? 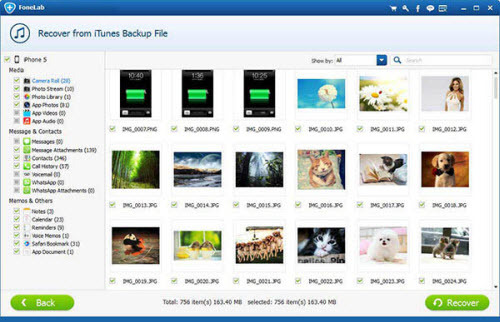 As more users start to use iPhone 7 or iPhone 7 Plus, more iPhone 7/7 Plus questions are asked on the forums and websites, among these questions, one of the popular questions is the way to recover deleted data, photos, messages and contacts from iPhone 7/7 Plus, many users have accidentally deleted data from iPhone 7 or iPhone 7 Plus accidentally, below is a popular iPhone 7 data recovery question asked by an iPhone 7/7 Plus user. For all kinds of reason many cause lost data on iPhone 7/7 Plus,or accidentally delete files on your iPhone 7/7 Plus, for example, iOS upgrade, iPhone jailbreak, accidentally deletion, virus attack, iPhone lost or damage that can result in iPhone 7 data loss. Actually,you can recover iPhone 7 lost data ith the help of iPhone 7/7 Plus data recovery software,if you want to restore data on iPhone 7/7 Plus, here I recommend you a useful and powerful iPhone 7 data recovery to recover your lost files from iPhone 7/7 Plus. 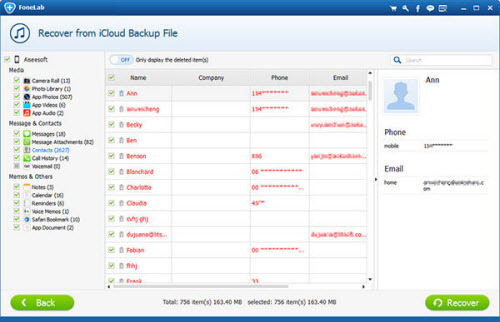 UFUWare iPhone Data Recovery (For Mac Users: Mac iPhone Data Recovery) - iPhone 7/7 Plus Data Recovery is professional and easy-to-use data recovery software for ios devices,you can use this ios data recovery to recover contacts, messages, pictures, videos, notes, call history, calendars, safari bookmarks, reminders and more from iPhone, iPad & iPod touch via 3 methods. With it, you can recover lost data from iPhone 7/7 Plus without any professional skills. 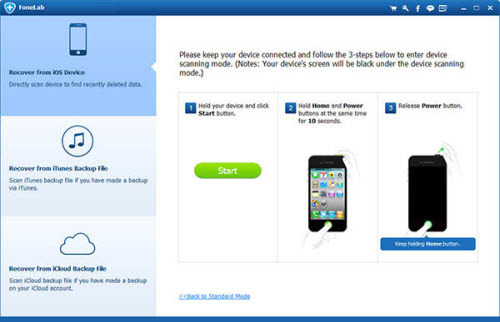 Step 1.Launch the app and connect your device to your computer. Choose “Recover from iOS device” and click “Start Scan” once your iPhone 7/7 Plus is recognized by the program. Step 2.Allow the program to scan your iPhone 7/7 Plus. 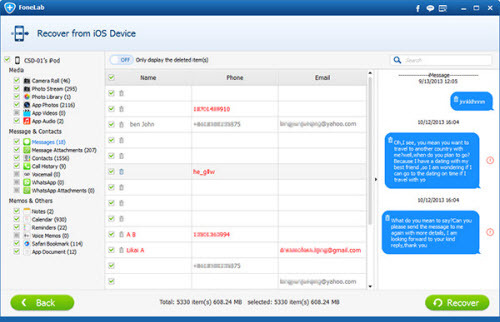 After it, The software will show you the found data on your device and display them in different categories.